Adventures with Andi: Literacy, Food and Fun! My daughter Andi and I are part of a Toddler Book Club in Decorah. 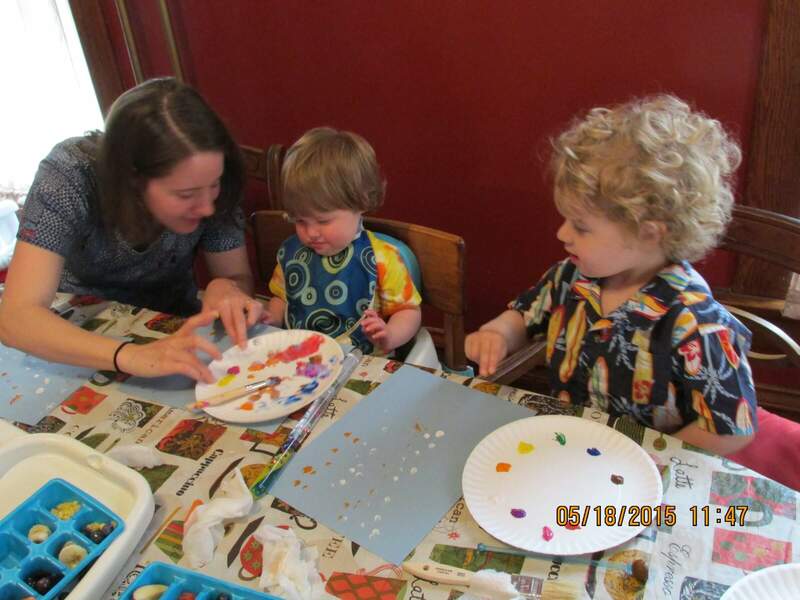 Each month we meet up with good friends to read books, play, create masterpieces, and eat yummy snacks. Last month our host read the book Lunch by Denise Fleming. We were able to combine literacy, healthy foods, and fun! 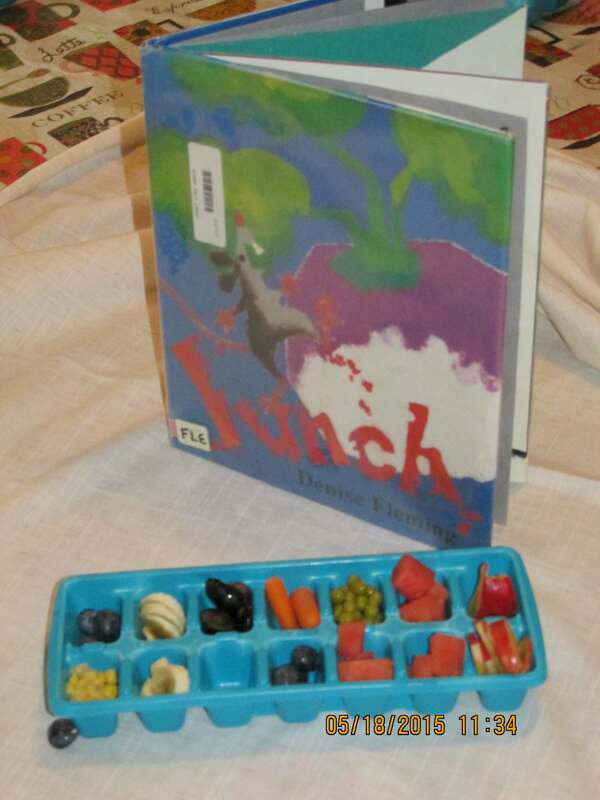 The book follows a very hungry mouse as he fills his tummy with delicious vegetables. After reading the story the kids pretended to be little mice, using their fingers to scurry across paper with paint colors coinciding with the vegetables in the story. Explore healthy eating habits through literacy with these fantastic books for young children. Use these entertaining stories to spark your child’s imagination and open his/her mind to healthy foods. Happy reading! Healthy Eating Tip: Kids should have 5 servings of fruits and vegetables every day! Lunch by Denise Fleming and a fun and healthy snack of fruits and vegetables to go with it! 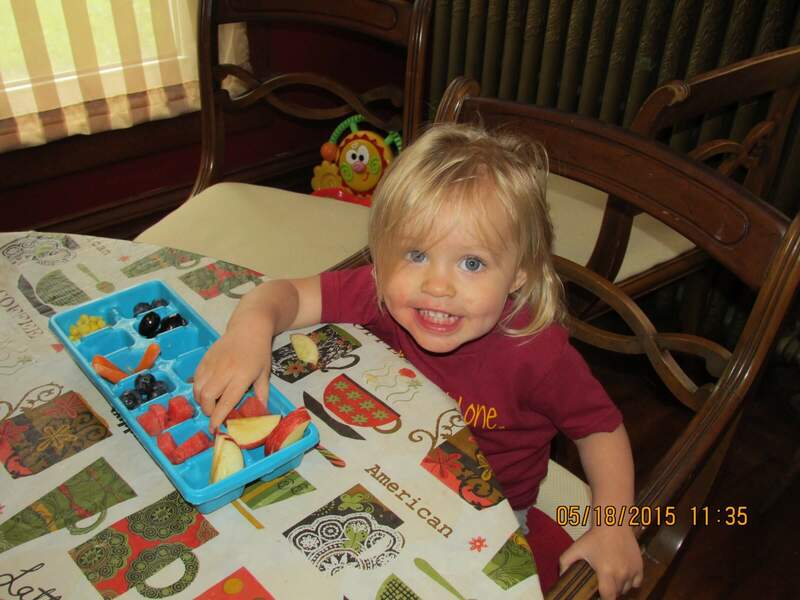 Andi loved her fruit and veggie tray! 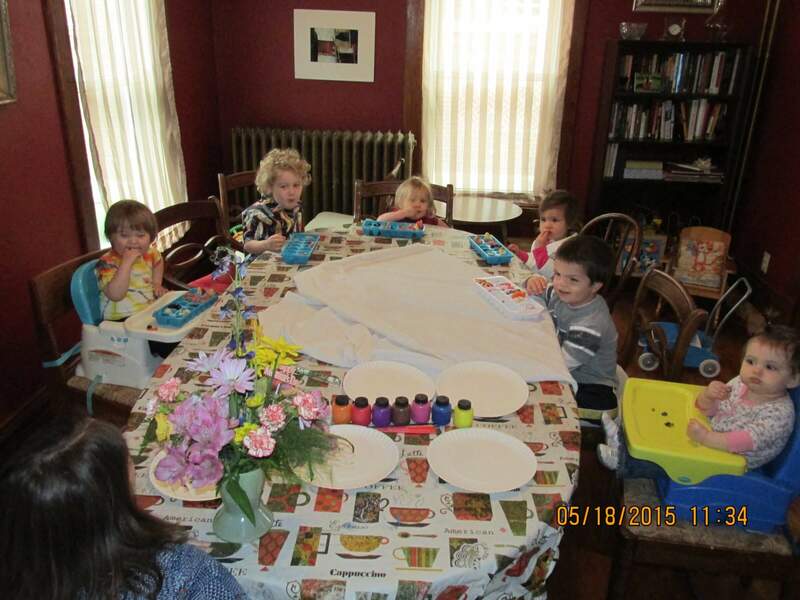 This entry was posted in Adventures with Andi, Early Childhood by Shanna Putnam-Dibble. Bookmark the permalink.